This entry was posted in Cetaceans, Dolphins, Whales and tagged Dolphin, harpoon, Japan, Long-finned pilot whale, taiji, the Cove, whale by Kirsten Massebeau. Bookmark the permalink. Anyone still believe in this “scientific” purpose? Come on, let’s be serious please. If the Japanese people have an ounce of honor and self-respect, they should stop being liars and should respect international policies on cetaceans. So saddened to see this even though I knew they were back out there. This has to be stopped as even if it really was for scientific purpose why do they have to murder so many? Other countries need to stand-up & say this can’t carry on. 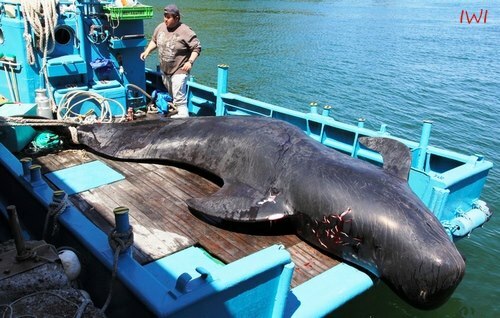 RIP, taken from the ocean, it’s family & killed traumatically!